The Hydraulic Massage Table Ecopostural C5779 in 4 parts with an hydraulic height adjustment operated by foot pump. 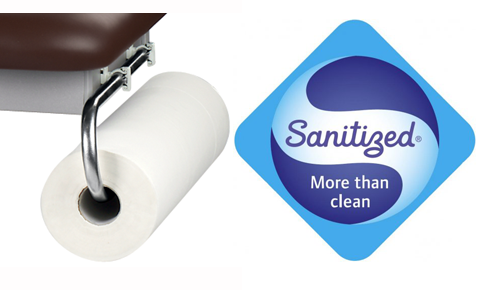 The Hydraulic Massage Table Ecopostural C5779 offers retractable castors with a one and only foot lever and a detachable paper roll holder is included at the end of the massage table. The headrest of the table can be adjustable to 80° and has an oval breather hole including bung. The feet section can be lowered to 55°. The massage table can support a maximum weight of 175 Kg and its vertical height can vary from 53 to 92 cm. Headrest's versions T02 T03 T04 with an oval breather hole are available in options by request (select the option during you order check-in). 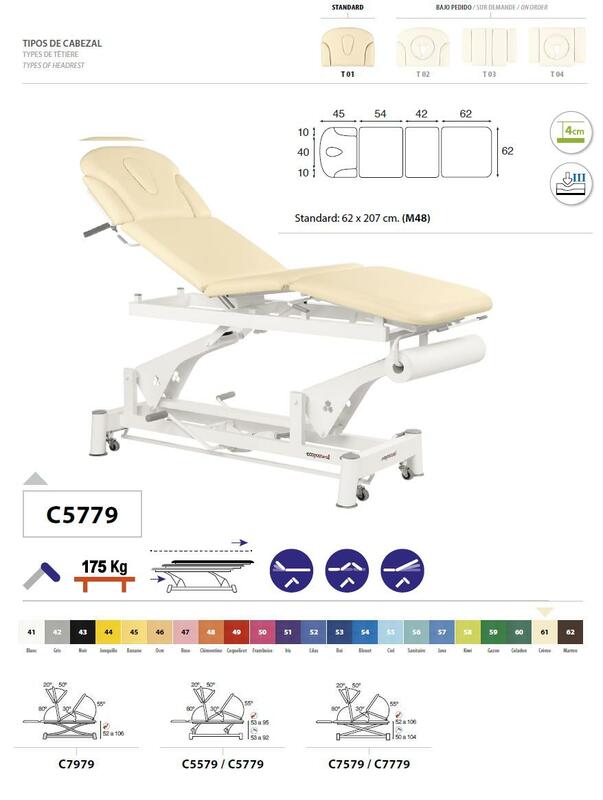 More info about Hydraulic Massage Table Ecopostural C5779 ?